Hey folks! 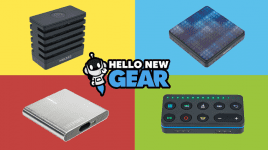 The Hello New Gear September 2018 edition is here… ? 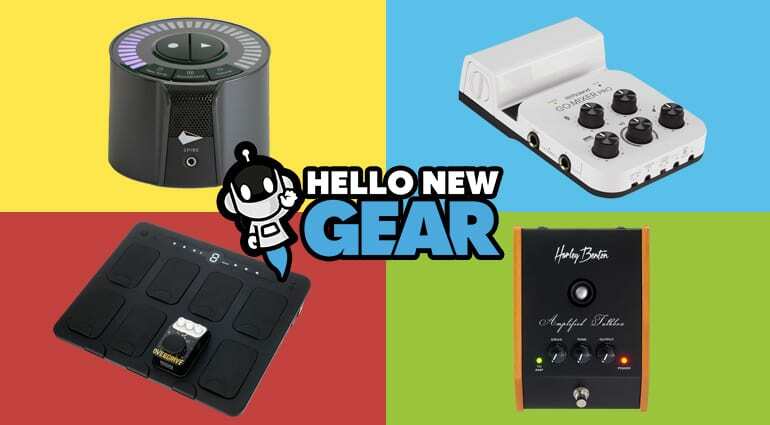 What we have here is a heavy-duty, splash-proof and innovative pedal board which enables you to hook up your Nexi pedals with ease and without patch cables! Finally that jungle of cables is gone! 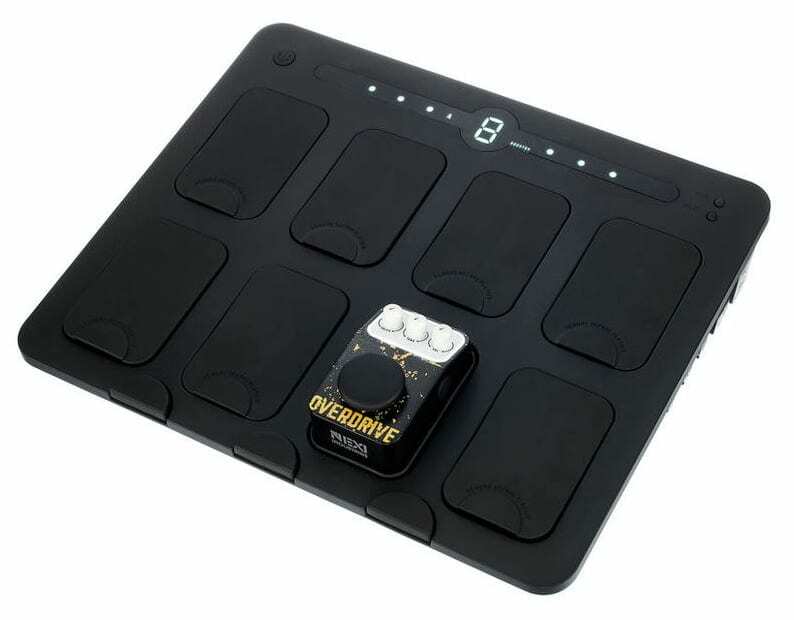 What’s more, the product includes the OVD-02-UD overdrive pedal! The board has an integrated chromatic tuner, A/B amplifier switch, 3-stage booster and supplies all of your connected pedals with power. You can also hook up pedals that are not Nexi brand using a Nexi ConNexi adapter (sold separately). They thought of everything! 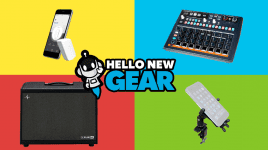 The Roland Go:Mixer Pro is a portable, battery-operated mini mixing console and audio interface that can be plugged into your smartphone, tablet, PC or Mac. 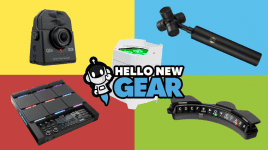 It has 7 inputs with maximum 9 channels: Combo microphone input with 48V phantom power, 3.5 mm stereo mini stereo jack with 2.5 V plugin power for clip microphones, 2x 3.5 mm jack stereo Line In, 2x 6.3 mm jack mono Line In, 6.3 mm jack instrument input; 3.5 mm stereo monitor output; Plug and Play; USB Micro connector type B for connecting a smartphone and a Center Cancel function (which more or less mutes the vocals) for karaoke use. It requires Apple iOS 11 or higher and is also compatible with Android. It can be either powered via USB or 4 x AAA batteries. 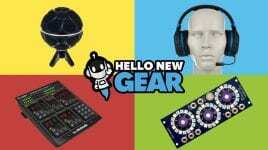 A mixing console that fits in your pocket! Though similar, in some ways, to the Roland Go: Go Mixer Pro, the Spire Studio has something unique because it can be used without a laptop or phone. 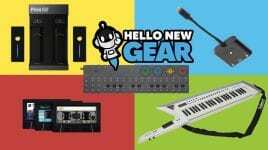 There is an app that can be used for audio mixing, collaboration with other musicians and for instantly sharing your new songs, but it can be used as a standalone device (with battery operation). 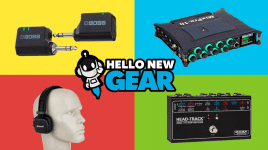 It can record up to 8 tracks and has a built in studio-quality microphone. It also features 2 combo XLR / jack inputs (with phantom power), 2 professional Grace Design pre amps, an LED touch screen to adjust volume, recording and muting of tracks, integrated effects (delay, reverb, guitar/bass amp simulation) and latency free monitoring. 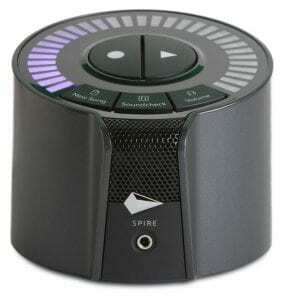 It has built-in WiFi to connect to your phone/app and it also syncs your tracks from the Spire Studio to your app. An export feature enables further processing on the computer; upload to storage platforms like iCloud, Dropbox etc. This device is an effect for electric guitar and keyboards which allows you to shape the sound with your mouth. Say what?? 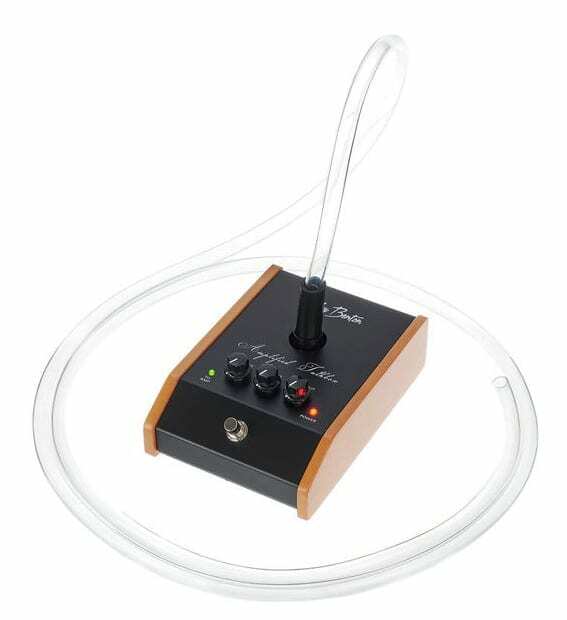 Through the included hose, the sound can be modulated by the movements of the mouth, producing sounds that can be compared to a wah-wah pedal (but which can be far more versatile and “human-like”). Similar to a vocoder, though your instrument does the “singing”, the sound is modulated according to the shape of your mouth. The pedal has gain, tone and output controls for further experimentation. Go nuts! Now, here is something really new: an electronic & wireless wind MIDI controller. It’s the first MIDI wind instrument that feels like an acoustic instrument. It allows you to use traditional fingerings and also dynamics like pianissimo, fortissimo, staccato, legato and tonguing techniques because of it’s revolutionary airflow design. So if you play saxophone, flute, recorder, clarinet, trumpet, oboe or the whistle you’ll be rocking this thing in no time! It’s a very mobile instrument weighing only 372 grams and measuring only 43cm in length. And with one USB charge you get up to 8 hours of playing time. Another benefit is that you can play it through headphones and not disturb your neighbours when you suddenly get the urge to practice at 2 am! Did we mention it’s wireless?